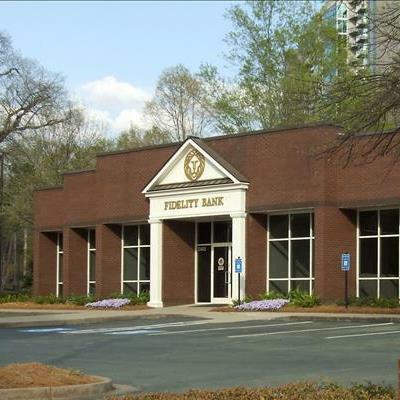 Saturday Drive Through Only: 9:00 a.m. to 12:00 p.m.
Fidelity Bank is the largest community bank in metro Atlanta. With over 40 years of experience, Fidelity Bank provides a wide range of personal and corporate financial services, including consumer, commercial, construction, and mortgage lending, traditional deposit and other credit services. We value the importance of community, and we put local needs first. Our employees are your neighbors and friends, and they strive to provide outstanding customer service to customers like you. Call (404) 553-2450 today or visit our Powers Ferry Branch to learn how we can help you. Fidelity Bank Mortgage* offers competitive rates and a wide array of loan programs. We listen to your needs and will review your current situation to offer lending options that will help you reach your goals. Fidelity Bank is a direct lender with in-house processing, underwriting and closing, which means loan decisions are made faster. *Loans subject to normal credit approval criteria.